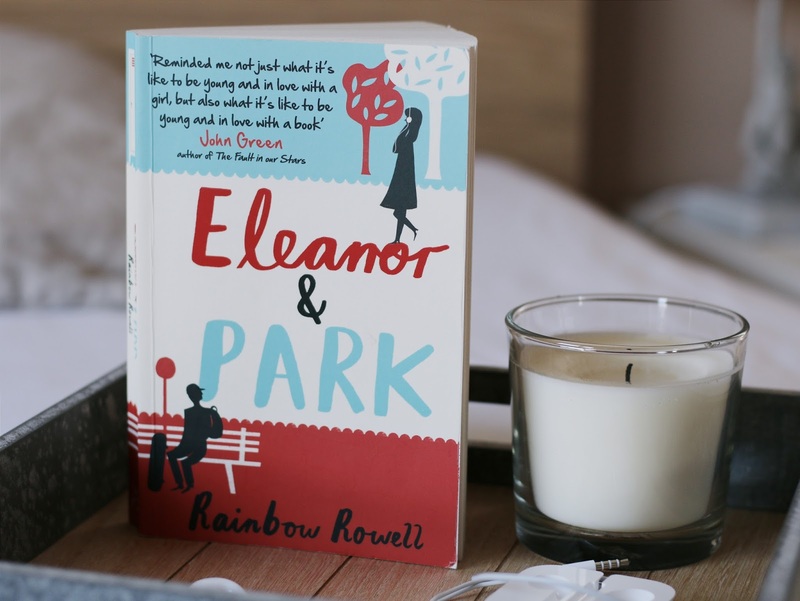 as I told you some days ago, I wanted to write a whole review about the book Eleanor and Park by Rainbow Rowell, so here it is. Firstly I want to say that I know that my english isn't perfect (it's my third year of english in school) and that it's really difficult to put into words the feelings you have after you've read this book, but I hope you like it anyway. Eleanor and Park are the main characters in the novel, basically the book's written in the perspective of both, so it's difficult to say what's the central problem. But I'm going to start with the problem both have, it's love. Eleanor's dealing with a very bad home life, she has never learned what it's like to be truly in love. In contrast to Park, who lives in a perfect family. His parents are still extremely in love with each other and they take care of Park and his little brother. When Eleanor and Park fall for each other, it's difficult for them to understand the doubts of each other. As I mentioned before, Park's life is almost perfect, he's good-looking and has some good friends. But Eleanor's life is much darker, she also has to deal with bullies. People judge her because of her dressing, her weight and because of her bright red hair. On Eleanor's first day of school, no one gives her a seat on the bus, Until Park "the weird Asian boy" offers her a seat. Over some weeks, they share silent bus rides, but one day Eleanor begins to read Park's comic books over his shoulder. From this day on, Park brings comic books and music tapes with him on the bus to share them with Eleanor. They don't really speak, but they begin holding hands. As Park and Eleanor's feelings for each other grow, they want to spend more time together, which is very difficult because of Eleanor's stepfather Richie. On day, Park's mother encourages them to go out together. After Eleanor comes home that night she notices that Richie has found out everything about Park. So Eleanor knows that he would kill her if she stays. Obviously Park wants to help her, so he drives her all the way from Omaha to her uncle's house in Minnesota. Over the next few months, they don't talk or see each other anymore. Until the day Eleanor finally decides to write him a postcard, which is only three words long. These three words are the mystery about Eleanor and Park. In my own opinion, I think this book is amazing, it's a very powerful, heartbreaking and emotional novel. I think Eleanor & Park is a book that shows how easy it is to judge other people we don't even really know. (only by their appearance or their actions) In fact it's a book, which everyone should read once in their life, even if it's something that you would never read, I'll recommend it to you.